Fun doesn’t always have a price tag attached to it. Before I started to travel more often, I used to think that traveling somewhere meant spending a ton of money not just on flights and lodging, but also on things to actually do while at the destination. Madrid is a city with so much to offer and lucky for us, many of them you can do fo’ free! Sure if you plan on hitting up every tourist attraction from museums to churches, the cost for those tickets can definitely add up. However there are definitely other alternatives to maneuver your way around seeing any city, Madrid included. So below, let’s talk about the top 10 things to do in Madrid for free. Free – ah, what a nice word to hear, no? Lemme tell you something, if there is ever an opportunity to have someone teach you the history of a city in a storytelling and interesting way with actual information you want to know – dooooo it. 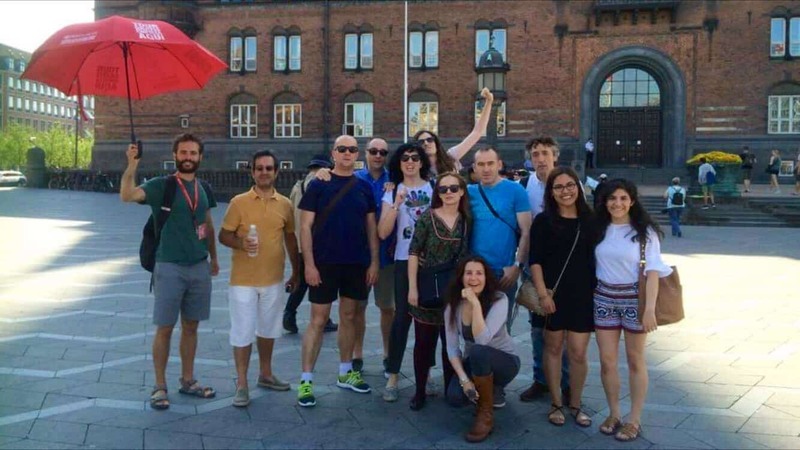 Free walking tours are THE BEST way to get to know the city from it’s rich history to it’s modern scene. Obviously, it’s up to your personal discretion (and budget) on how much/if you decide to tip the guia, but it is not a requirement. It’s honestly one of the best ways (if not the best way) to see the different points of interests in Madrid and to get the lowdown on where to catch the best views of the Madrid, when to visit museums and which neighborhoods to hit up for great shopping and nightlife. The guides can give you answers for any question you have to make your visit to Madrid not only an inexpensive one, but also one in which you can get the most out of your time there. Side note: if you also speak Spanish (native or non-native), you should definitely challenge yourself and practice your bilingual abilities by taking the tour in Spanish. I always do the walking tours in Spanish, and especially in Spain, there will just be a certain level of connection and friendship when the guides can tell you about their city in their native language, and many times they will end up telling you even more information and tips on really how to see Madrid as a local. It really can’t get any better than that. It can’t get any more free than parks, amirite? However, a park like Retiro in Madrid is not something to miss. Retiro in Madrid is like Central Park in New York and it would be a shame not to stop by this beautiful green oasis in the middle of such a busy city. There is almost ALWAYS something going on; an event of some sort, ventriloquists entertaining kids and adults, different exercise classes, musicians sharing their talents al aire libre, outdoor book stands, tourists and locals enjoying a boat ride in the pond inside the park…you get the image. 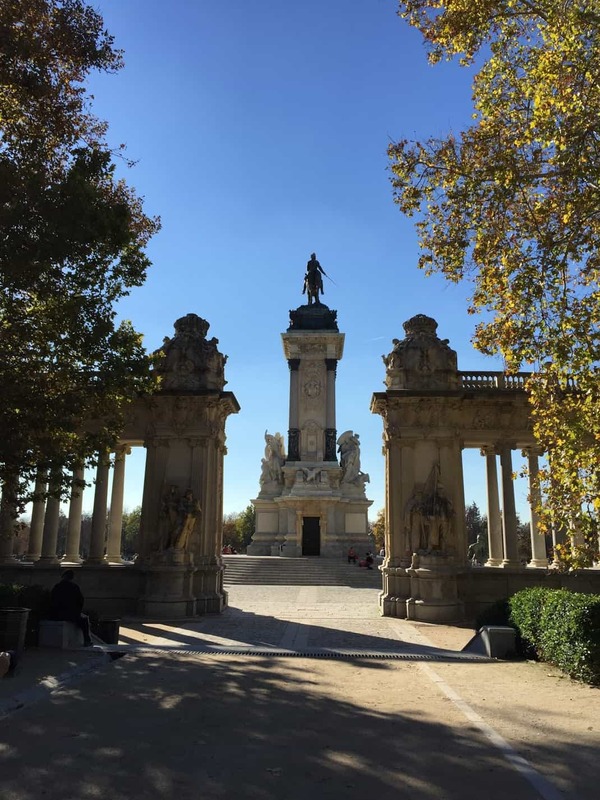 Best of all, you don’t even have to spend money doing anything in Retiro – you can just go to people watch and that in itself is very entertaining. No matter what season you may be in Madrid, Retiro is always a good idea because there is ALWAYS something happening and the park is beautiful no matter what season it may be. I’m sure you have heard of Retiro park if you have been busy away researching parks and free things to do in Madrid. However, have you heard of such a park like this one? El parque de las siete tetas I’ll admit was brought to me by my friend Cecy who has been to this park on multiple occasions. I will also admit that it is a little bit of a stretch, especially from the city center of Madrid, however if you have the time, I have heard plenty that this park is worth it. This is a park that sits a little bit on the outskirts of the city center of Madrid, in Vallecas. It is possible to get there on public transportation. 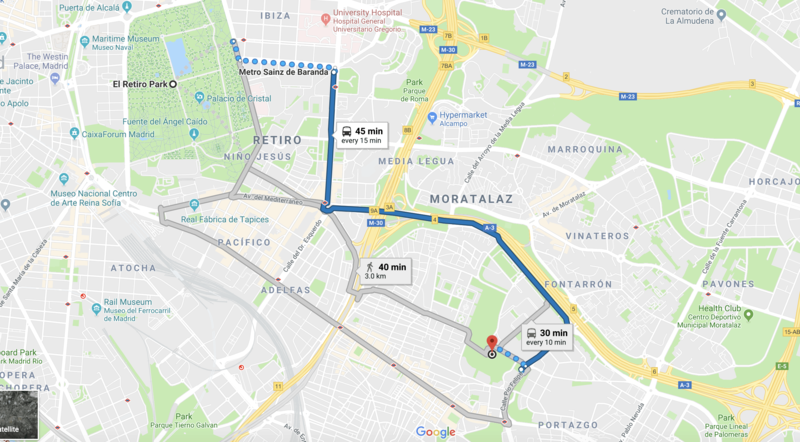 The example map below will show you how to get from Retiro Park to Parque de las Siete Tetas. Also rumor has it that it is one of the best views of the city and the sunsets are amazing from there. Go visit the Spanish Royal Palace and marvel at the beauty of it. Take a photo in front of the golden gates, go to the gardens (which are also free!) and enjoy the majestic statues surrounded by beautiful lush greenery and perfectly cut shrubs. 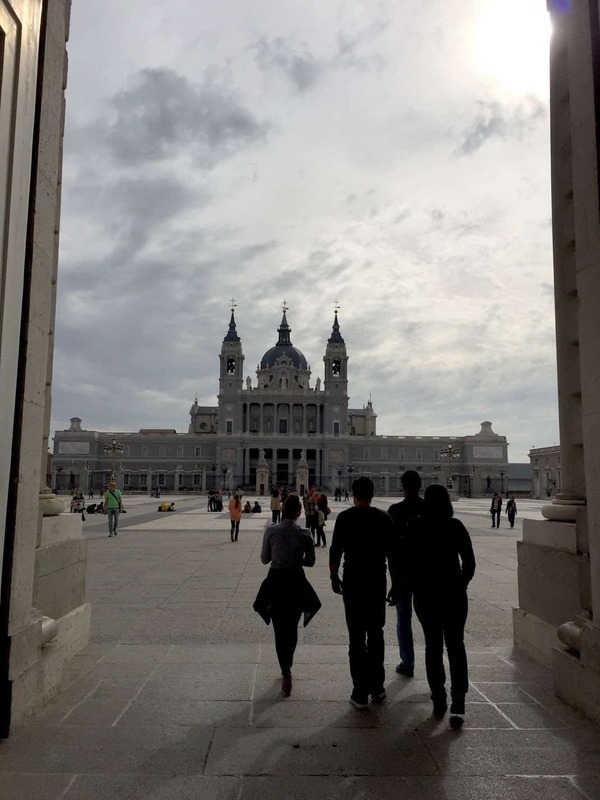 Make a stop by the the Catedral de la Almudena, the patron saint of Madrid (the church in front of the Royal Palace) which is also free depending on whether or not you would like to donate (usually 1 euro if you can). Take a snack and sit and just stare into Spanish Royalty…and that super long line of people waiting to purchase their ticket. If you get to be in Madrid on any Sunday throughout the year you my friend, get to experience El Rastro. What’s El Rastro??? It’s basically a famous flea market that has become ingrained into Madrid’s culture because of it’s history. 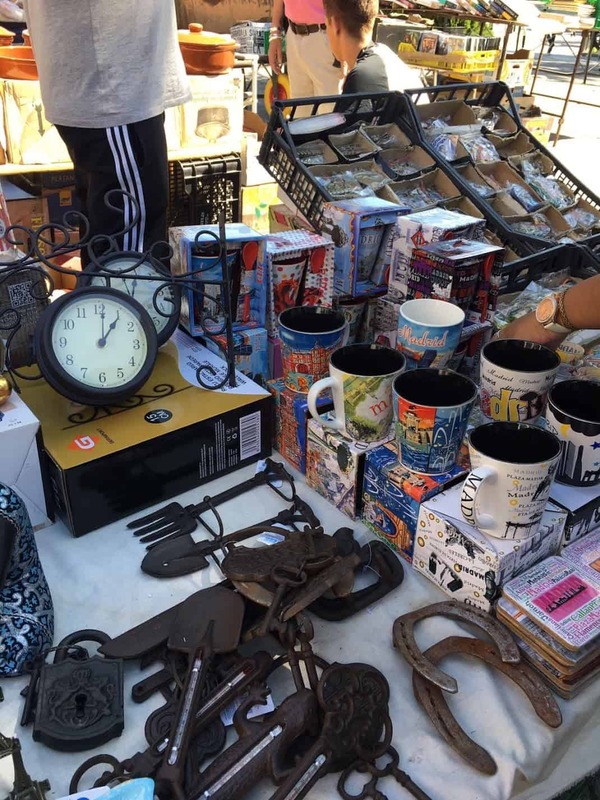 This flea market dates back to the 15th century, and to this day, it’s become a space where approximately 1,000 vendors come early on Sunday mornings to set up their stands, and display their antiquities, crafts, and random objects for sale. You don’t even have to buy anything, just being there is an experience! 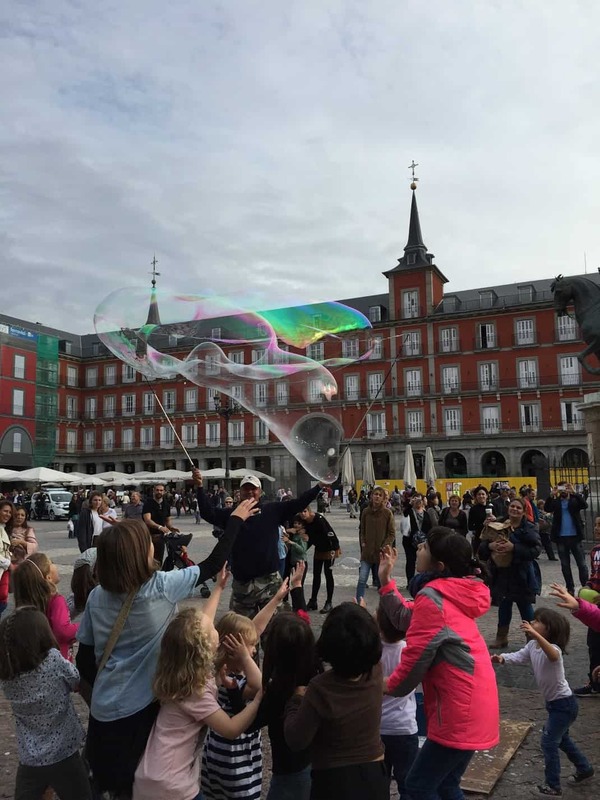 At Plaza Mayor, you will always see something going on. Plaza Mayor has seen it all through history: celebrations, trials, executions, devastating fires, and a variety of city events. Today, depending on the season, you’ll see the Christmas market, a concert (sometimes free aayyy), street performers, and once again, people watching. Plaza Mayor has coffee shops, restaurants, and a variety of little shops around the plaza and sometimes they will also have special vendors come so you can take a wander around and see what the hubbub is all about. While this next suggestion may not be free, it’s super well known to try una bocata de calamares (fried squid sandwich). I’ll be honest, I haven’t had one, but everyone including the locals, say that it’s a must thing to do while you’re there. Also during Semana Santa, the procession will pass through Plaza Mayor, so there’s also something you can check out for free if you happen to be in Madrid during Semana Santa (Holy Week). Another inevitable stop you’ll make that is also free is the famous Puerta del Sol plaza. It’s literally a square with 3 metro entrances, surrounded by beautiful buildings including city hall, and a huge amount of street performers, lottery vendors, shops, gypsies trying to sell you flowers, tourists gawking and the volume of people in this area and locals wanting to get the hell away from gawking tourists standing in their way. It’s a lot going on and though it can be overwhelming, it’s worth a visit. 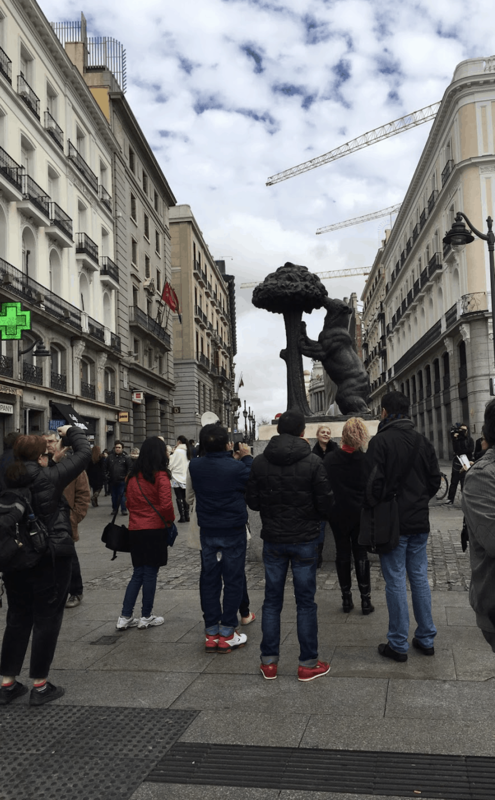 Also here is the famous statue of el oso y el modroño AKA the bear and the strawberry tree AKA the official symbol of the city of Madrid that you can take your picture with for…you guessed it, FREE. An equally hectic street with a lot going on, but FREE is Gran Via. Many have called this street the broadway of Madrid for many reasons, including the theater located on this grand avenue, the movie theaters, shops, restaurants, and flashing lights. 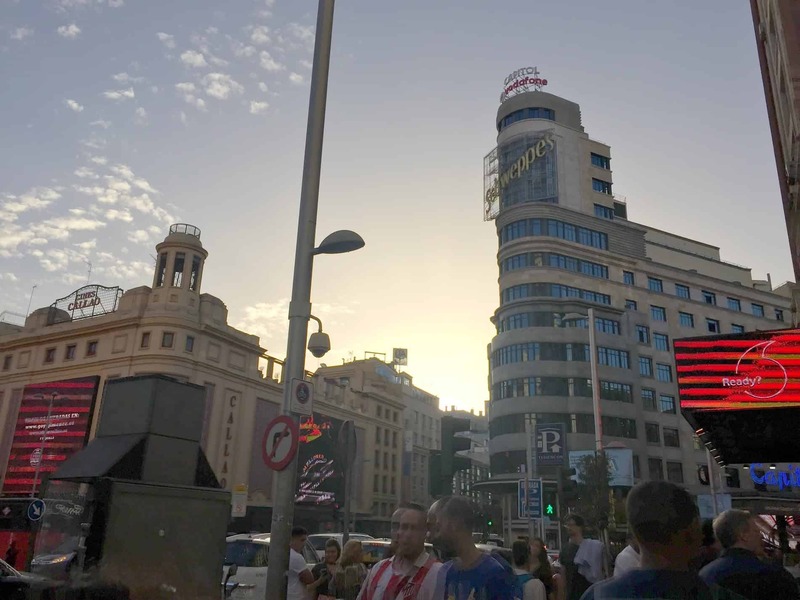 Here you will find shops from Spanish brands like Zara, all the way to the famous Primark (which the one on Gran Via just so happens to be the biggest in all of Spain). It’s literally right next to Puerta de Sol so you might as well walk over and check it out too. To get here, take the metro and get off at the stop called Gran Via or Callao. Go get your dose of history and get cultured at some of the best museums in Europe – fo’ free – it literally doesn’t get any better than this. Museo de Las Americas (History of Spanish conquest of the Americas…)- Free to students when you show them your school ID and if you’re between the ages of 18-25. 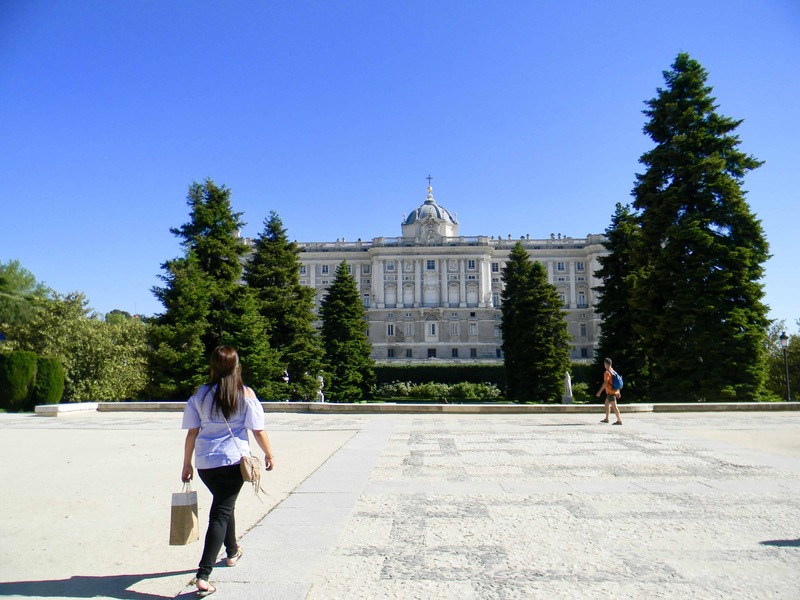 Museo de Historia de Madrid (History of Madrid)- Free for everyone, any day, any time. Museo Arqueologico Nacional (MAN) (Archaeological museum) – Free on Saturdays after 2pm as well as free all day on certain national holidays. Check here for a full listing of free holidays. 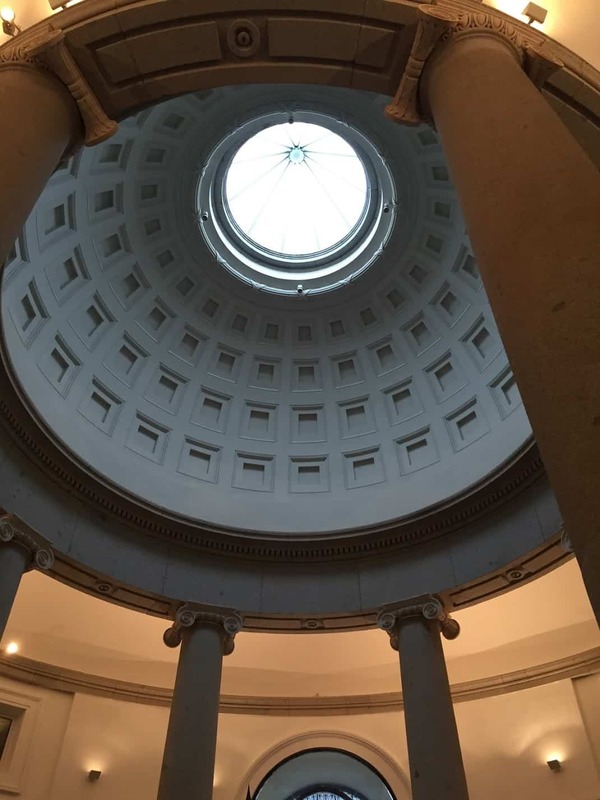 Museo del Prado (Art museum) – Free between 6pm-8pm and on Sundays and holidays it’s free from 5pm-7pm. Museo del Traje (Costume Museum) – Free after 2:30 on Saturdays, free anytime if you are a student and you show your ID (international student ID’s are also acceptable). 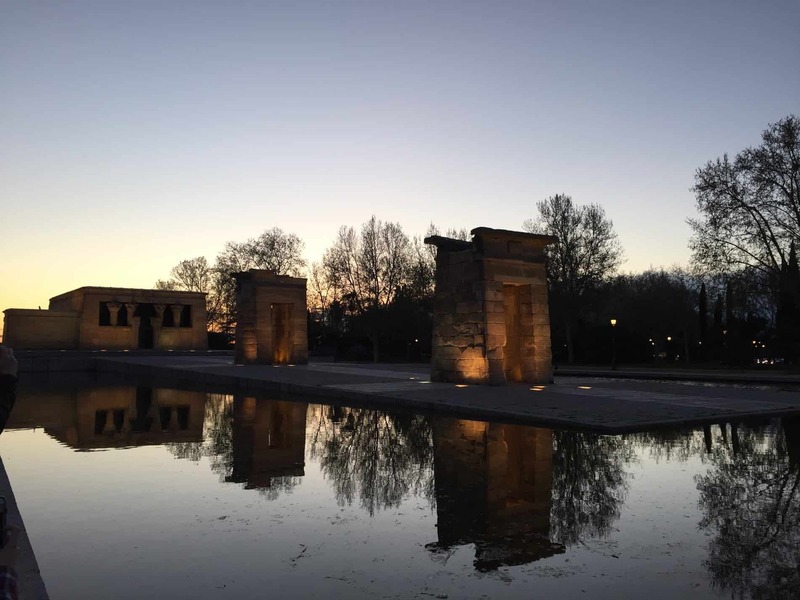 Egypt gifted the city of Madrid this beautiful monument because the Spanish government helped Egypt when it suffered from flooding due to the construction of the great Aswan Dam. The temple dates back to the 2nd century BC, and it sits right in between Principe Pio and the Royal Palace. Also, if you can, try checking it out during sunset. Sunsets are such a beautiful thing…and they are also free. Templo de Debod is an amazing place to go to right before sunset to watch the end of the day. Bring a snack, sit on the grass and watch the beauty of a Madrileño sunset. Go early-ish though, the place can get packed! I hope that this list has helped you add at least one or two other ideas to your list of free things to do in Madrid! This city is literally full of things to do and see, as well as daily events all year long. You’ll find yourself leaving and not seeing it all, and that is a good thing 🙂 If you’re wondering how in the world you’ll be able to get around the city to make all these stops, check out this post, where I give you the lowdown on how to travel around Madrid using the reliable and great transportation system that they have, especially if you’ve never used it before. Until then, happy travels y que te la pases super guay en Madrid!